Last weekend, we went to the Treasure Island Flea Market and found some really cool finds. Matt bought a painting of New York city (which we didn’t realize it wasn’t San Francisco until we got home). Oh well — it’s still a really sweet painting. I bought two rings. The rose gold-looking one is my favorite. It’s absolutely gorgeous and it was only $7. Such a steal. I also scored a pair of Lucky Brand booties for $30. I’ve been on the lookout for laceup booties and shoes like these, but haven’t been successful finding anything under $60. Our friend purchased some vintage maps and drawings that date back hundreds of years ago. There really is something for everyone at the flea market. Looking for something in particular? You just might find it. Or not. But you probably won’t leave empty handed. We stopped at the Zaarly booth to spin their wheel to try and win movie passes. We didn’t get any passes but Matt won two tickets to next month’s flea market. Guess that means we’ll be going back the end of June. Hopefully the weather is as nice as it was this time. Clear skies, sunshine and warm weather made it a perfect for shopping the outdoor flea market. What will we find next time at the flea market? Pacifica at Dawn. Spoiler Alert: No Fog! View of Pacifica from Manor at 6:45am on Tuesday, August 28 via iPhone. The weather has been beautiful here in Northern California (specifically the South Bay, but generally all over) and I have been dying to get out and see some nature besides my backyard. And later this month, I will be hiking in Yosemite for the first time ever! After, I might go and have a look at How to Hike the Valley of Flowers to completed my hiking experience! Please leave comments below for any trails I must go on. 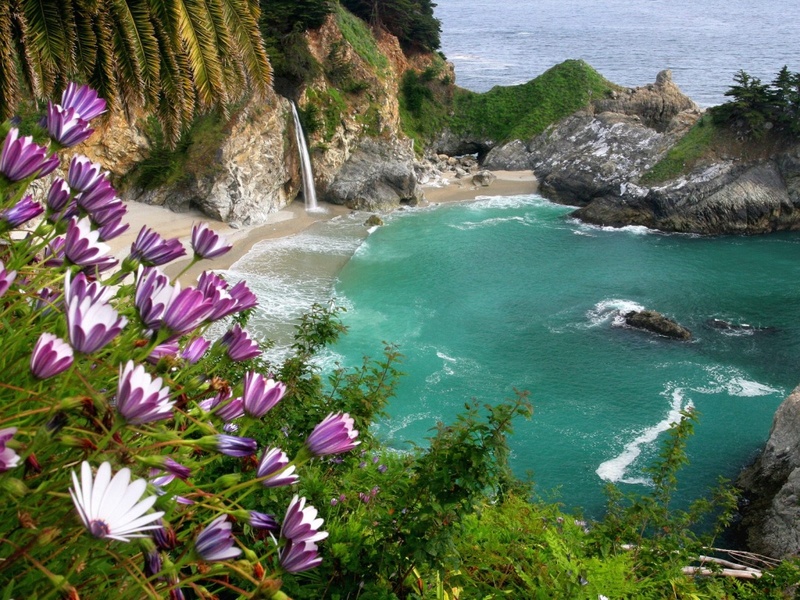 After seeing a photo of the McWay Falls in Big Sur, I knew this would be my next hiking adventure. The trail is in the Julia Pfeiffer Burns State Park, and is apparently an easy one at .5 miles round-trip. So while I’ll go for the falls, I’ll stay for one of the nearby hiking trails. 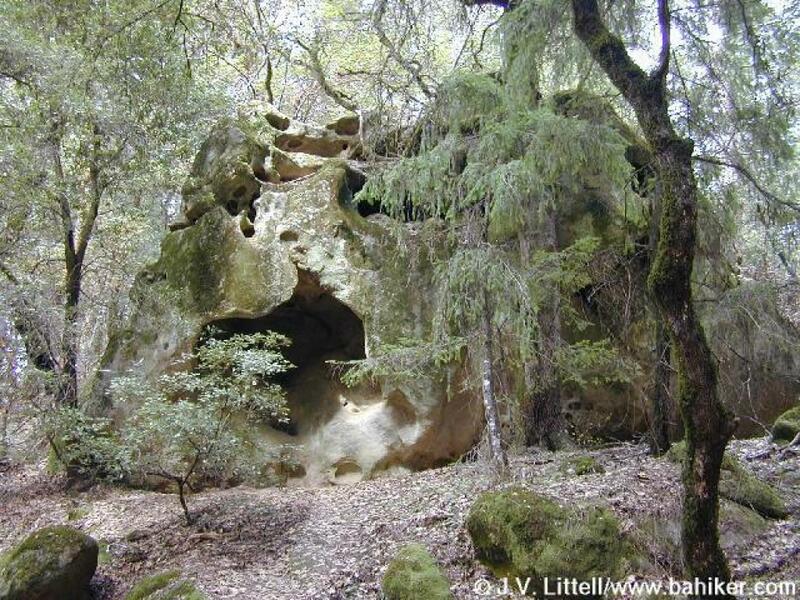 Highly rated on Yelp, Castle Rock State Park has 32 whopping miles of hiking trails. The only problem will be trying to pick one. Can’t wait to sling on my Arkadia Supply backpack and get going though! One of friends went on a dog-friendly hike in the beautiful Los Padres National Forest Park and posted pictures of the beautiful Arroyo Seco River Gorge (above) she swam in. The hike entrance is near the Arroyo Seco Campground, a campground I would love to stay at sometime soon! After a thumbs up review of this swimming spot from my co-worker, Nuala, Bass Lake has been added to my list. Sometimes there’s some nakedness so virgin eyes beware. Whether or not you chose to frolic around with or without a swimsuit, a dip in the lake after a hike sounds well-deserved. A nice cold beer at the top of the hike? It’s like they read my mind. Find directions to this very unique spot and read all about the Tourist Club‘s history, which dates back to the early 1900s. What are some of your favorite hiking spots? Any trails you suggest I try? Whenever I go camping, it usually takes at least an hour or two to get there. The roads are really winding and most of the day is spent getting to/finding the campground. Oh, and there usually isn’t a restaurant and full bar with — wait for it — karaoke (!) within walking distance. 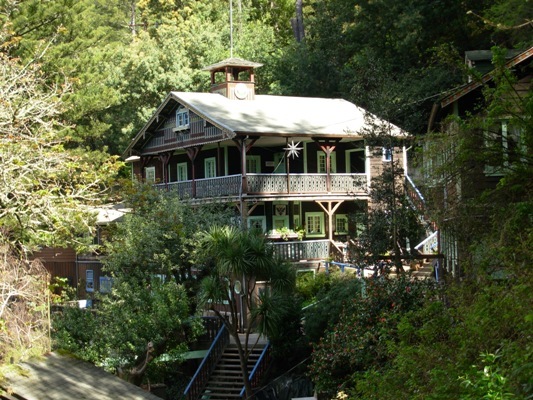 The RV park and campground is only minutes south of Highway 92 and just off Highway 1. Tent campsites run $30 a night for up to 4 people. For a quick getaway, I will definitely keep this place in mind. Yeah, there’s the whole covered in fog thing most of the time, but the day we went, I actually got sunburned. Look at my sunglasses tan below. Not cute.